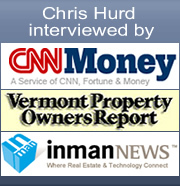 Below are charts showing various market data statistics for the Burlington Vermont real estate market over the last year (2014-2015) including median sales price, number of sales, average listing price, number of listings and average price per square foot. To summarize, you can see that the average listing price, median sales price and average price per square foot are currently on the higher side due to the low number of listings. The demand is there, but the supply is low. However, the number of sales are trending downward. This could mean lessor demand in the future meaning better deals for those buying homes in the future.